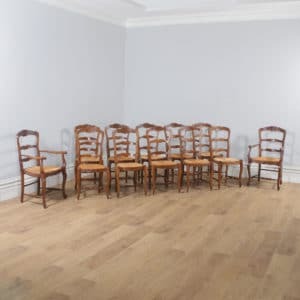 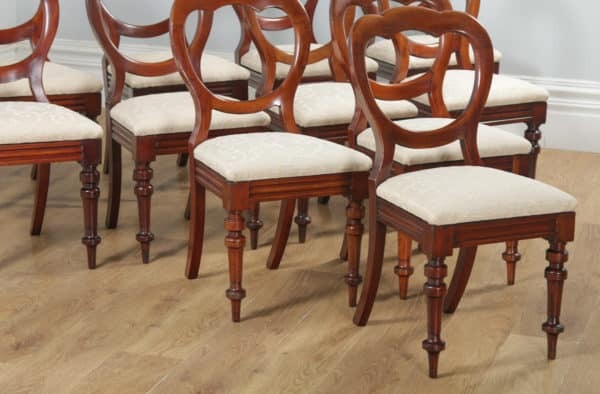 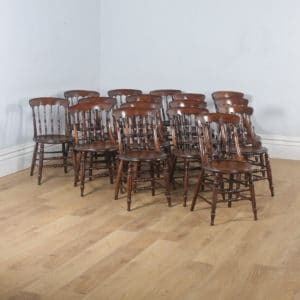 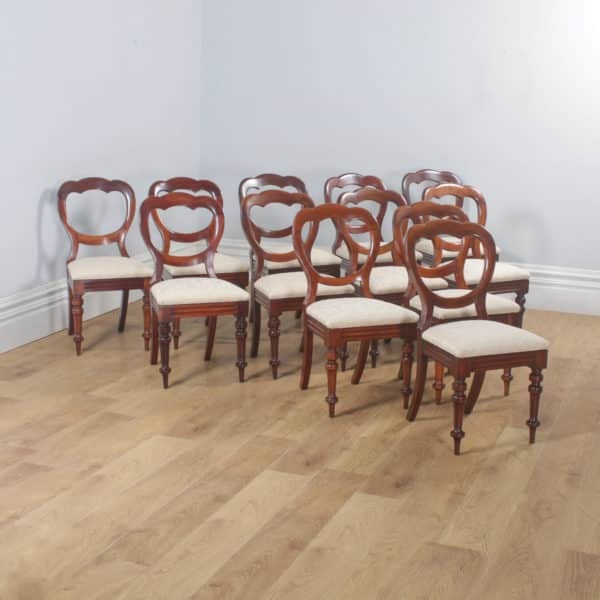 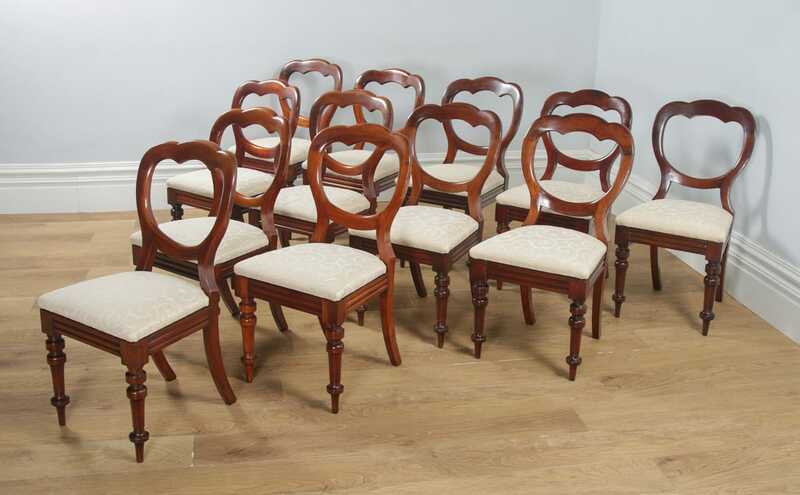 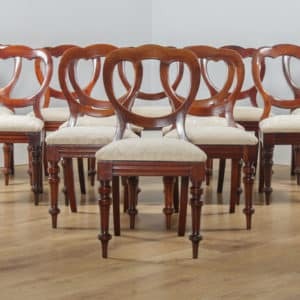 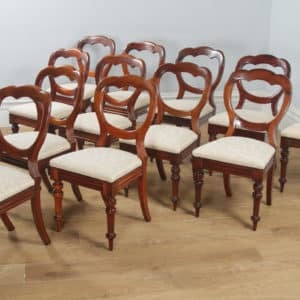 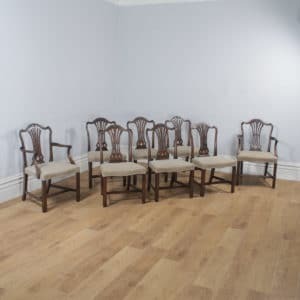 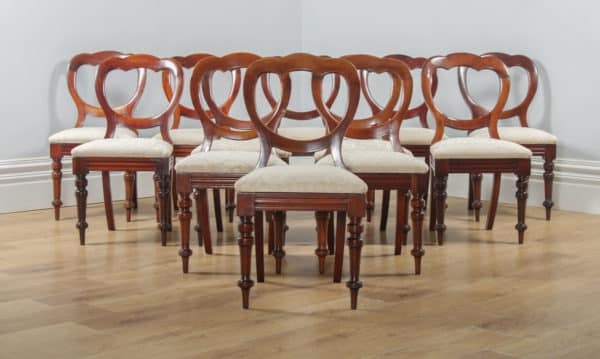 Here is a fine quality set of 12 English antique Victorian mahogany crown back dining chairs, circa 1860, with newly upholstered seats, in excellent condition. 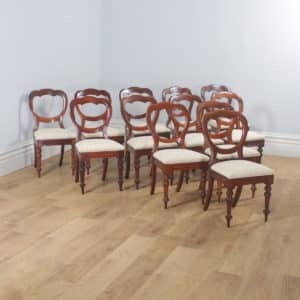 Here is a fine quality set of 12 English antique Victorian mahogany crown back dining chairs, circa 1880, with newly upholstered seats, in excellent condition. 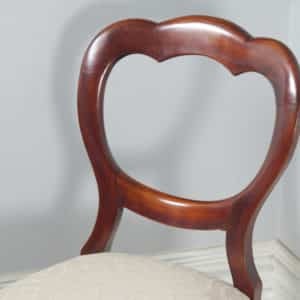 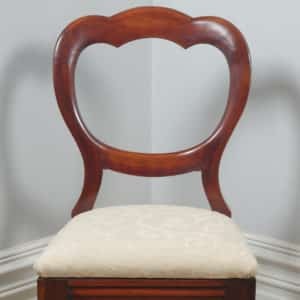 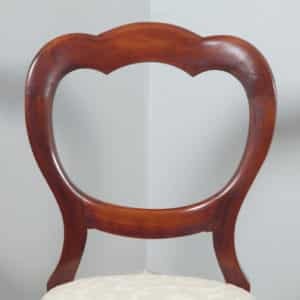 The chairs are designed with an attractive “crown” shaped back and a shaped central horizontal splat. 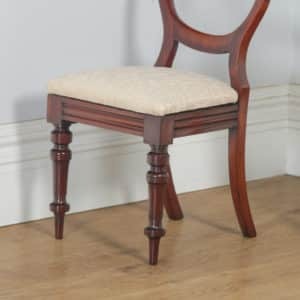 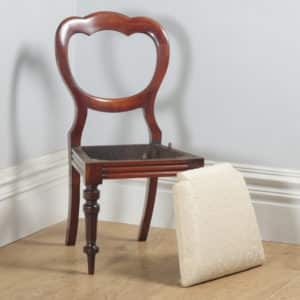 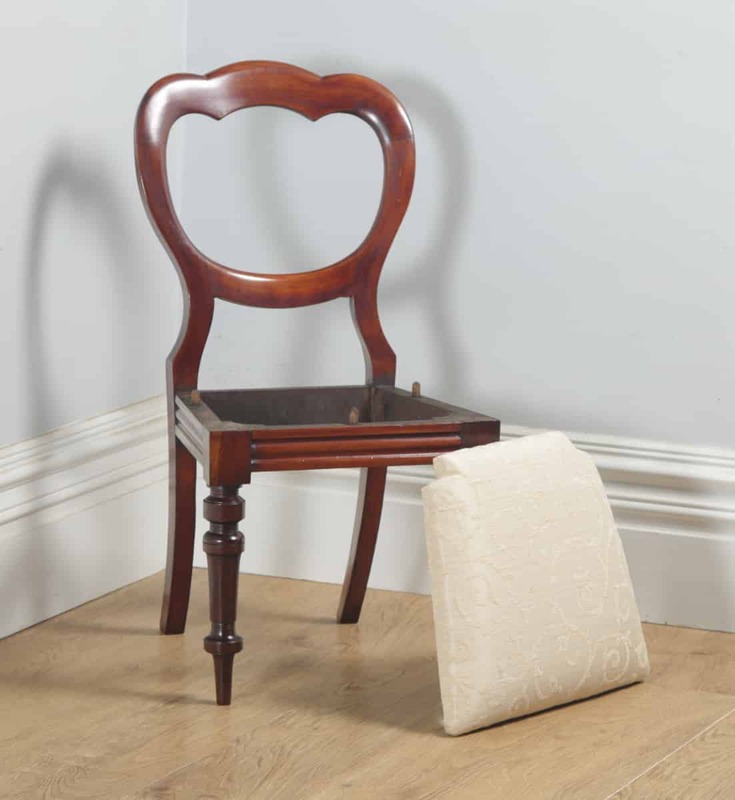 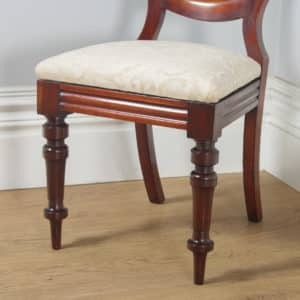 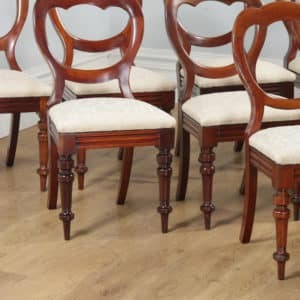 The chairs feature drop in seats, which have been professionally upholstered in new top quality hardwearing cream colour floral pattern chenille brocade upholstery. 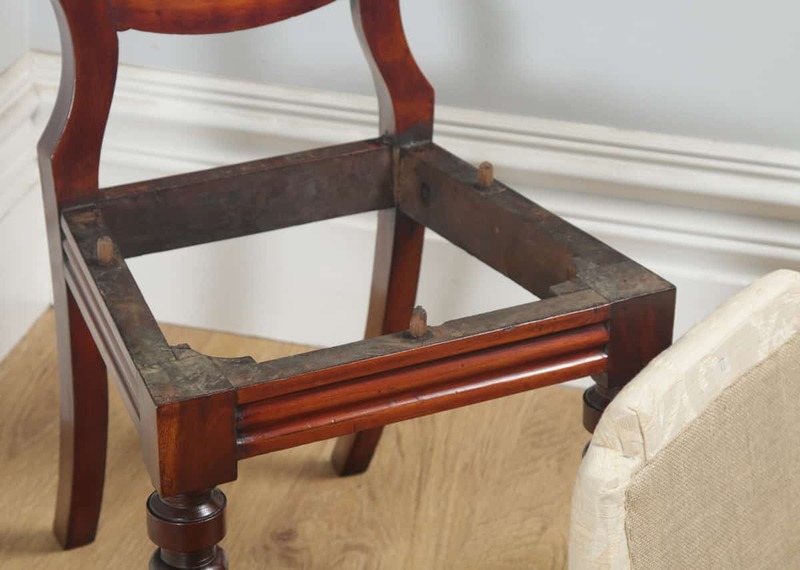 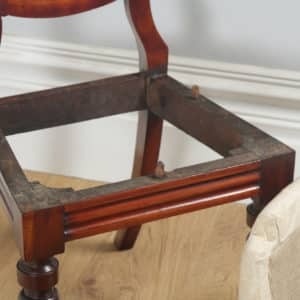 The chair frames are constructed using the traditional “bolt-back” method. The chairs stand on ring turned front legs, sabre rear legs and the seat frame boasts an elegant moulded rails. 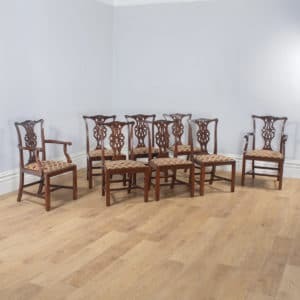 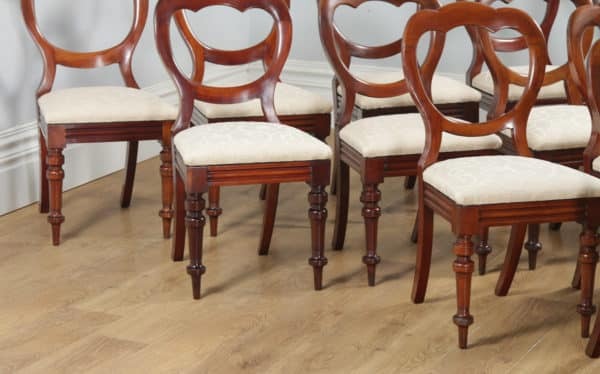 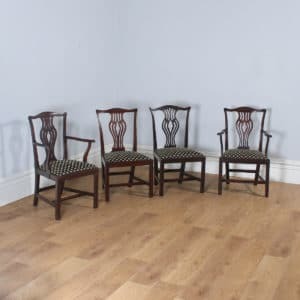 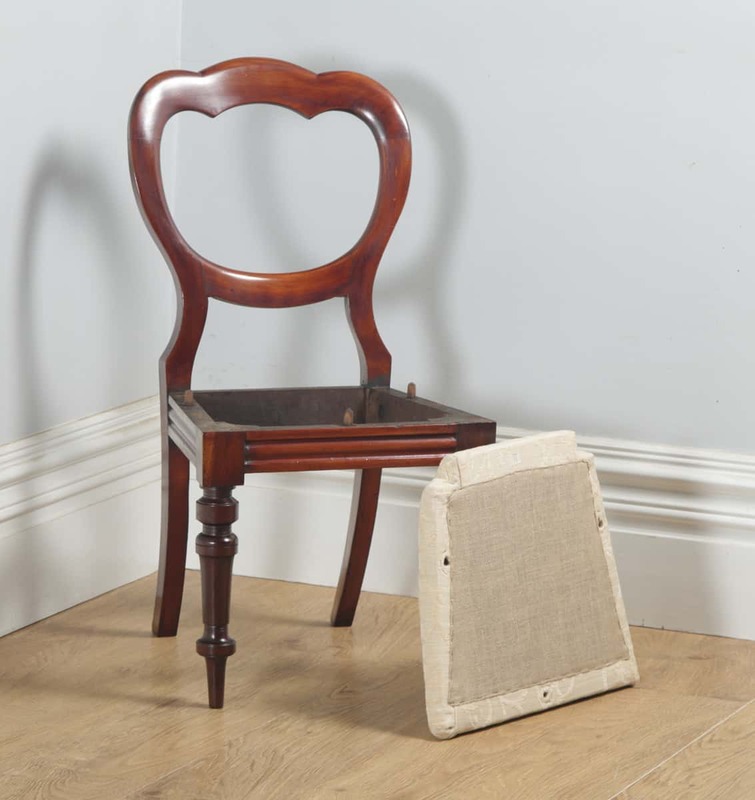 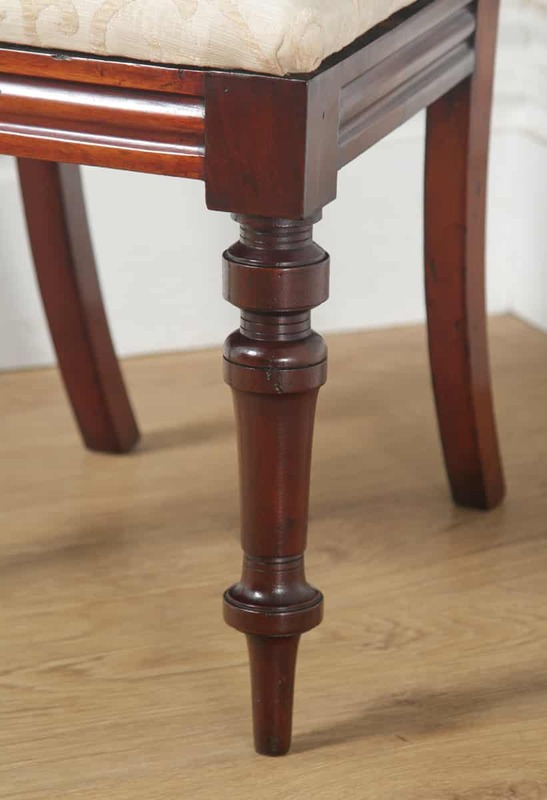 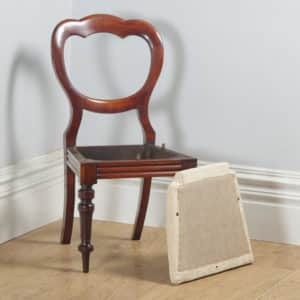 This set of chairs boasts the original polish; therefore, they have a fantastic depth of colour and patination, displaying a lovely rich red and brown mahogany colour. 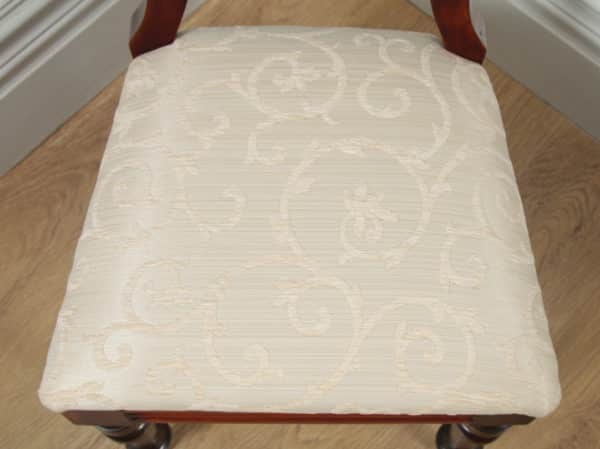 If you do not like the colour/style of the upholstery, we can recover the seats in a fabric of your choice. If you would like the seats recovered, please contact us for a quote. 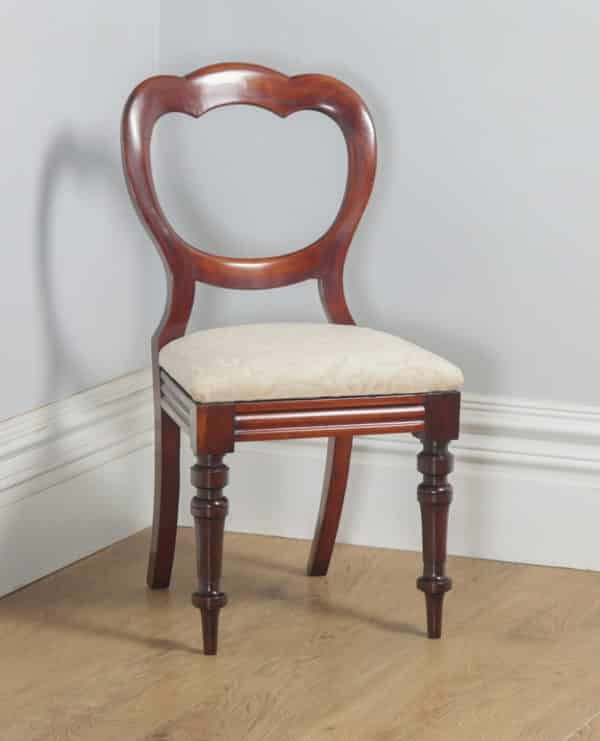 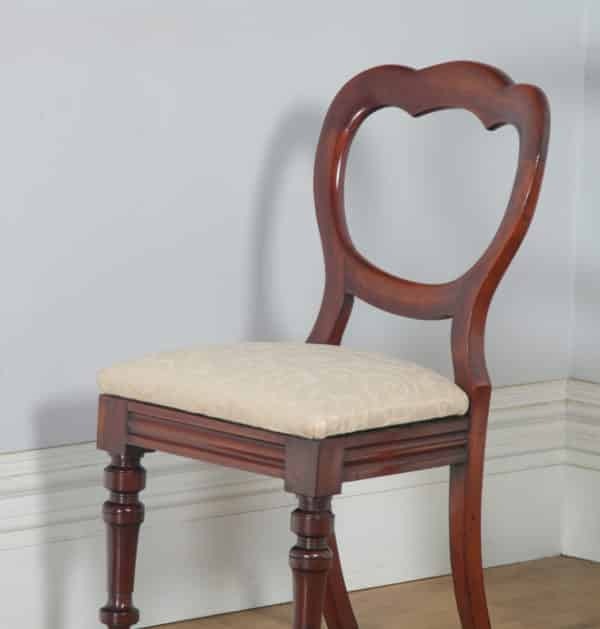 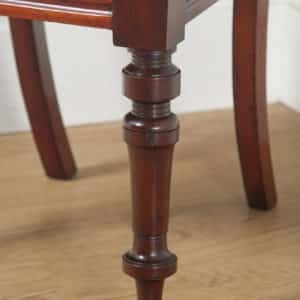 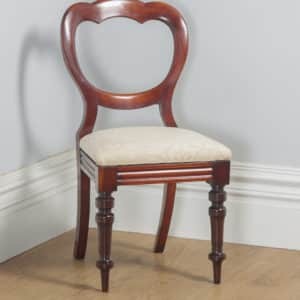 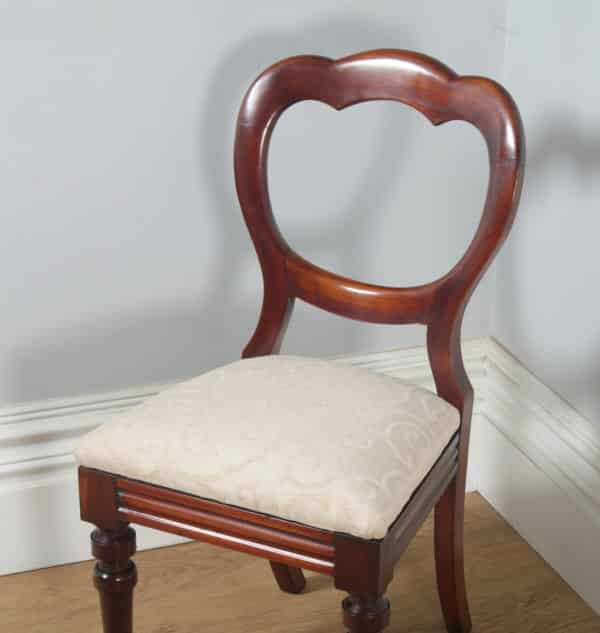 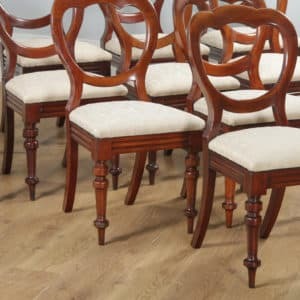 The chairs feature a rich red and brown mahogany colour. 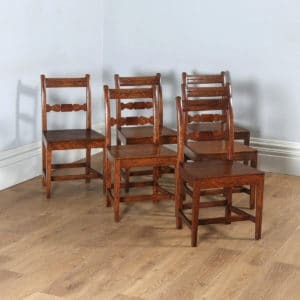 As they boast the original polish, they have a fantastic colour and patination; this can only be achieved through age and years of care and cleaning they have received. 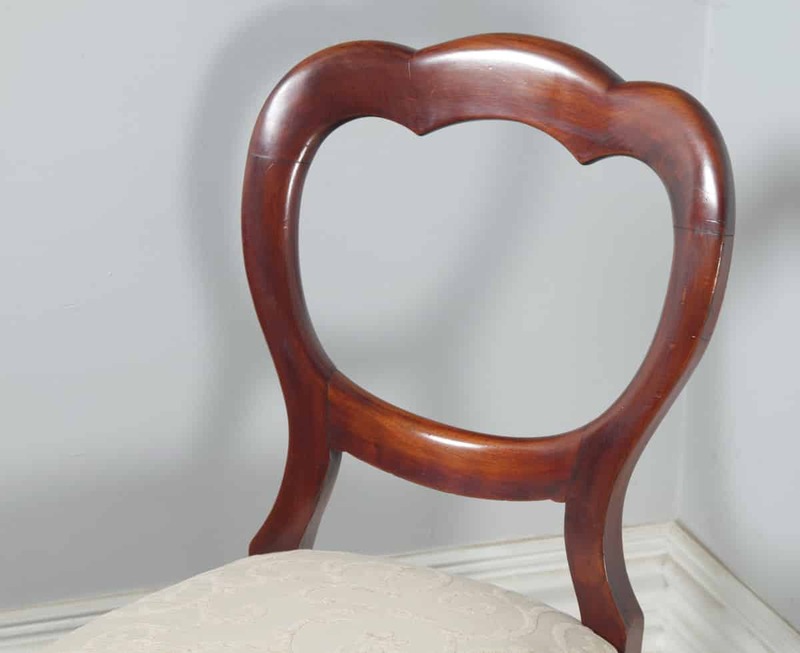 This rich original colour cannot be re-created if the chairs have been re-polished. 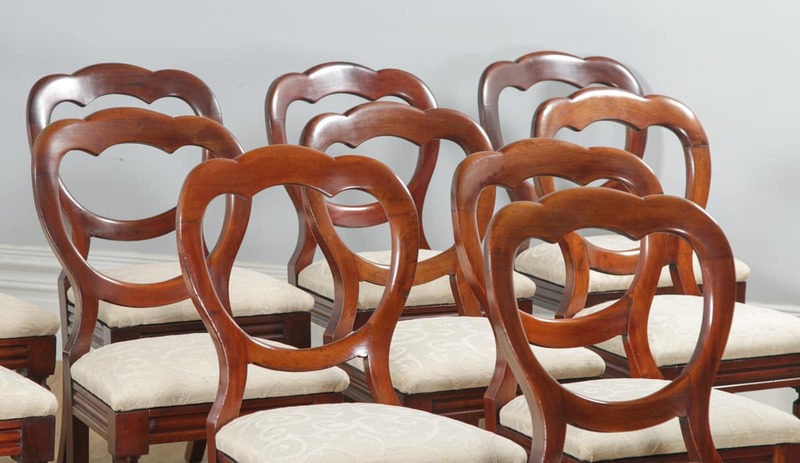 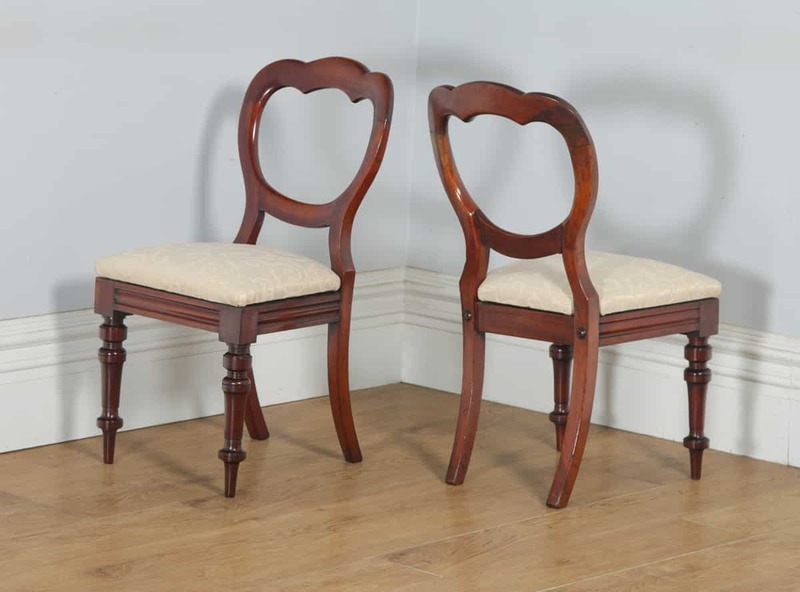 These chairs would look would look good anywhere, from a formal room or for everyday use. 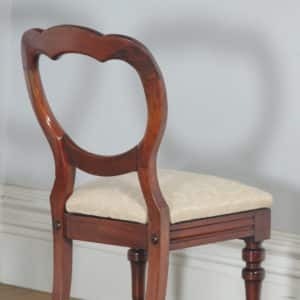 They would certainly grace any home or office and are a great investment, as they are extremely functional. 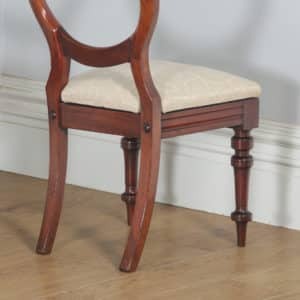 So, don’t miss out on your chance to own a lovely piece of furniture. 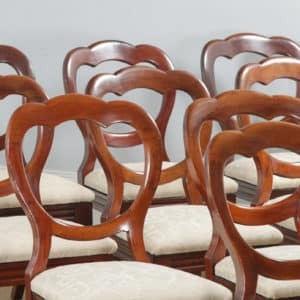 These chairs are in excellent condition. 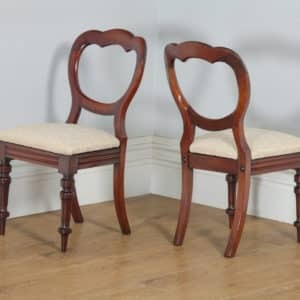 They are a matched set of chairs, which are identical in size. 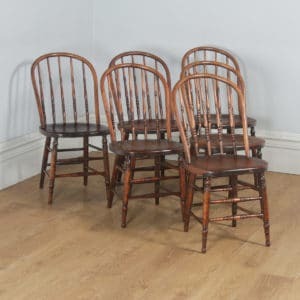 Nominal old use marks to the leading edges of the chairs with some colour variation but nothing significant considering the age of the chairs. 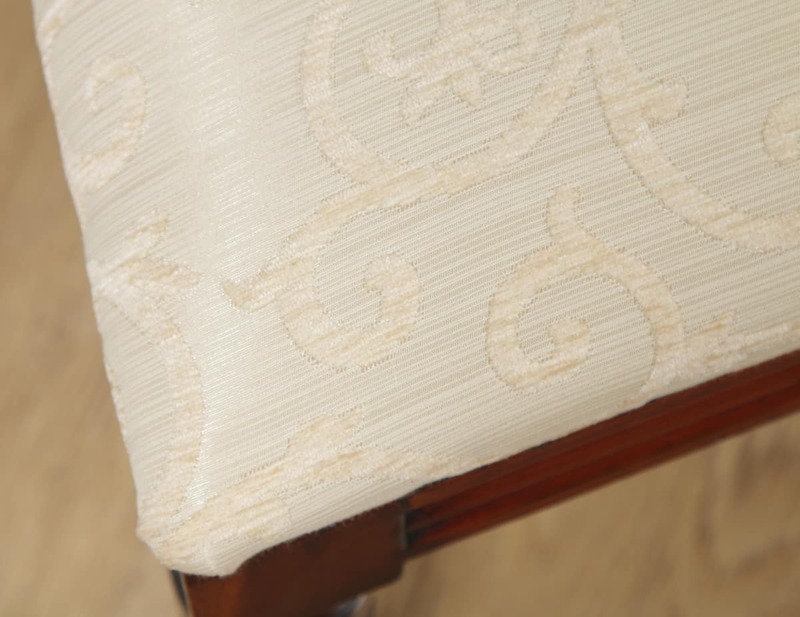 The drop-in seats have been professionally upholstered in new hardwearing pale gold floral structured chenille upholstery. 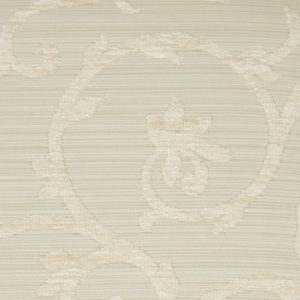 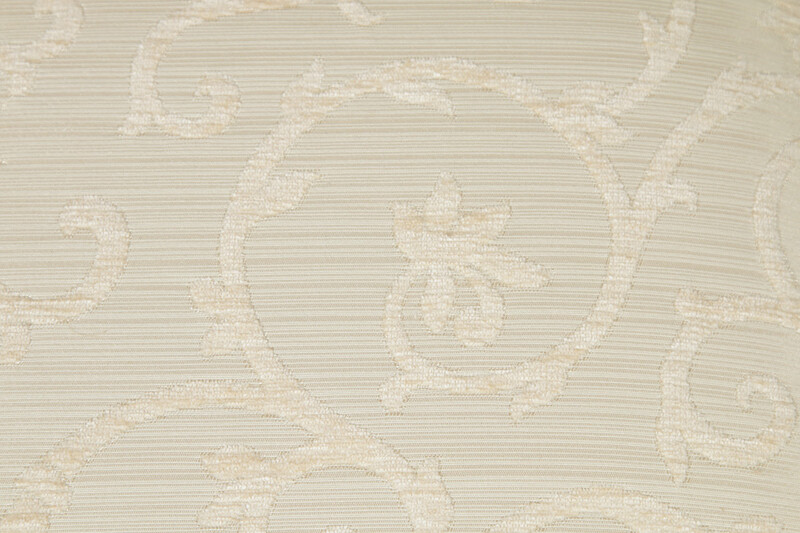 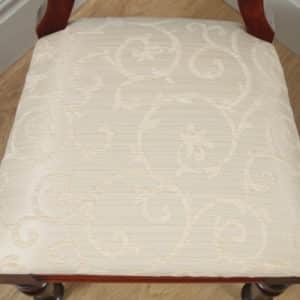 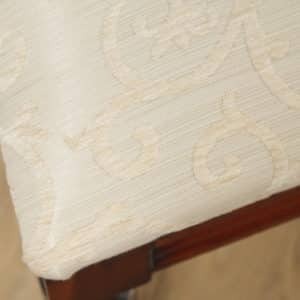 The upholstery is therefore clean, free from wear and marks. If you do not like the colour/style of the upholstery, we can recover the seats in a fabric of your choice. If you would like the seats recovered, please contact us for a quote. 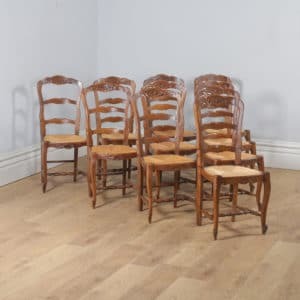 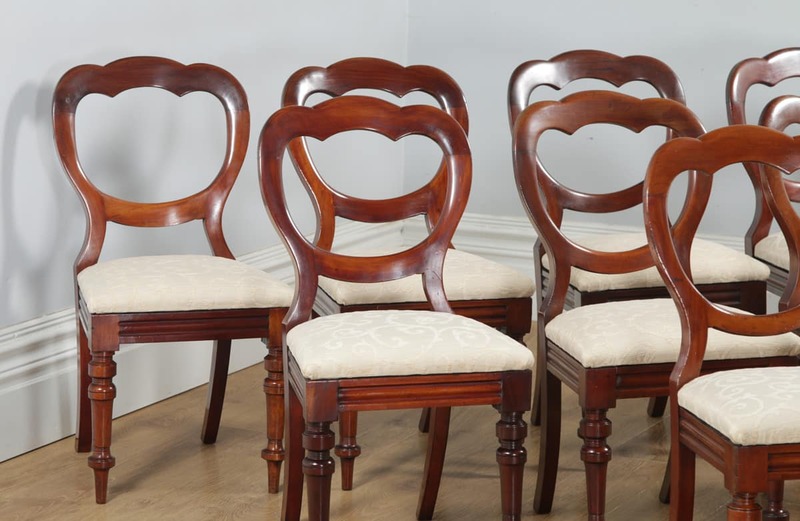 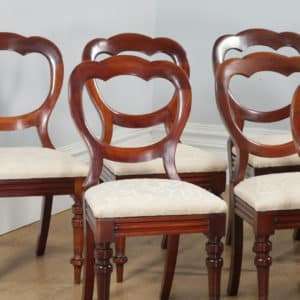 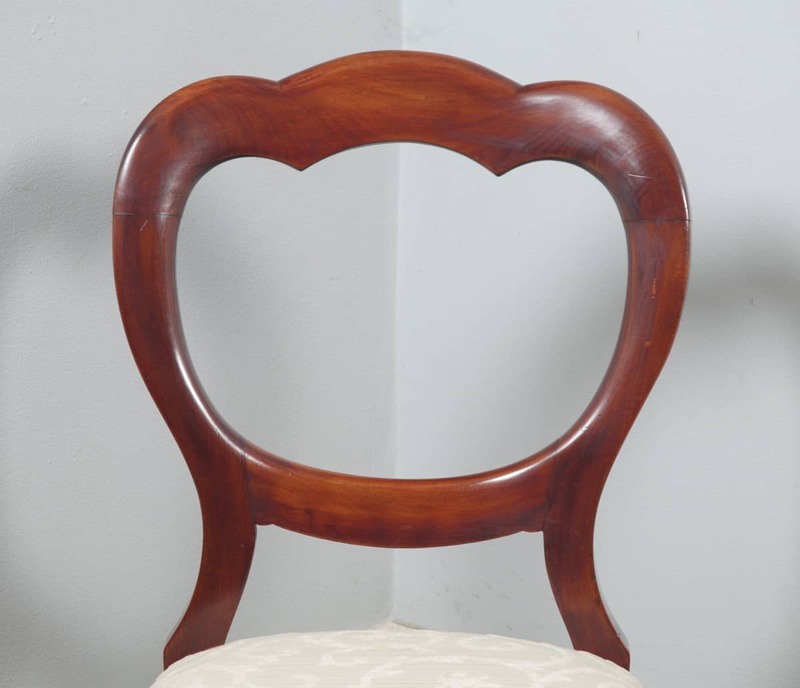 The chairs boast the original polish; therefore, they boast a fantastic patination and colour, which cannot be recreated if the chairs were re-polished. 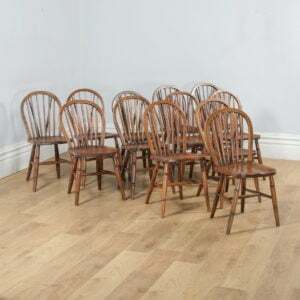 The chair frames and joints are all in good condition, solid in joint with no breaks and are ready to be used.